In (primarily US) law, a ticket is a notification that one has committed a minor legal infraction, for which a fine must be paid, and/or an appearance in court must be made. Typically this means a parking ticket for parking in an unlawful manner or allowing a parking meter to expire, or a ticket for a moving violation such as speeding. A ticket trap is where police deliberately set up in a place where motorists are likely to break the law, even if just on a technicality. This may include places where the speed limit is set too low (called a speed trap), or where there is an intersection with an awkward or confusing design. Often, this is used to earn extra money for a municipality, such as a poor rural town or county. This is also often illegal under the laws of the state, province, or other jurisdiction the municipality is under. 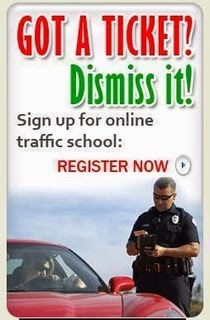 "Traffic Ticket & Speeding Ticket Legal Defense Strategies" how-to guide is your ticket to understanding how the system works and to get your speeding ticket, traffic ticket or other traffic citation dismissed. Just because you received a traffic ticket does not mean you're automatically guilty. Did you know that over half of all traffic tickets contested either result in a reduced fine, found not guilty or the case is dismissed? The odds are in your favor if you fight.